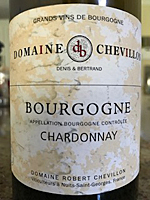 Synopsis, Our Opinion: Excellent fresh white burgundy. 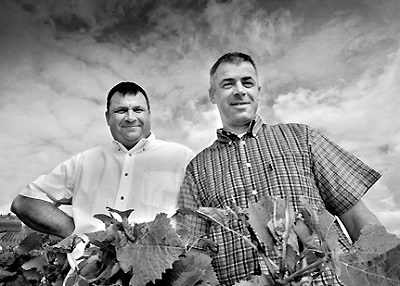 Producer/Winery: Bertrand and Denis Chevillon; Domaine Robert Chevillon; Nuits-Saint Georges, France. Geographic Appellation,, Region, Country: Burgundy, France. Paired With: Quiche Lorraine and a garden salad. Chilled before drinking. Clear, wheat straw color. Pear, apple and citrus aromas. Smooth, dry & crisp mouthfeel, medium body, and a 150-grit texture. Lots of fruit flavors, particularly pear, lemon, lime and Granny Smith apples, but with an unusual grassy background. Crisp acidity with a long lemony and stony tasting finish. More fruity and reserved than we expected, but well integrated and delicious with the fresh acidity and mineral taste that really kept it on a high note from start to finish. Not inexpensive Chardonnay, but we enjoyed it very much with the quiche. Excellent fresh white burgundy. Comments: Learn more about the Domaine Chevillon and their wines.